All rooms include hairdryer, TV, safe and wi-fi. The Guesthouse has 5 en-suite bedrooms. The house is newly renovated, with high ceilings and oregon pine floors. With the warm and friendly Conifer Cape team will ensure a "home away from home". Breakfast is served in the lovely enclosed garden. 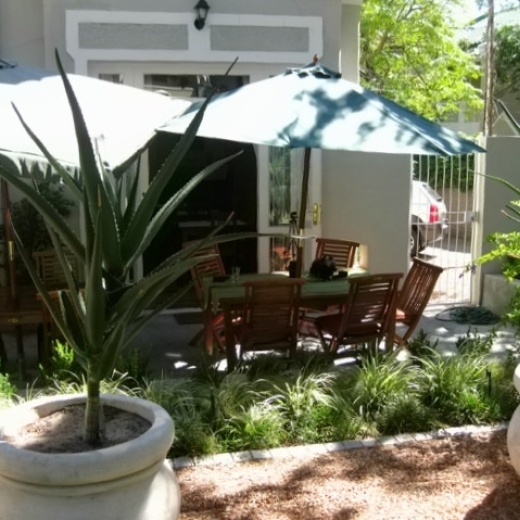 The guest house is a walking distance form the city buzz, restaurants, shops, and bars, Easy and short drive to V & A Waterfront and Table Mountain Cable Car, Close to our magnificent beaches, especially Camps Bay. The host could arrange any tours, rental cars and airport pick-up.